Older veterans can obtain care from the Veterans Affairs Health System (VA), Medicare or both. 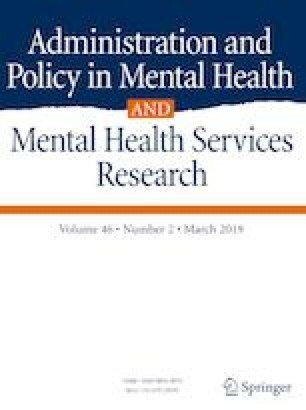 We examined whether their use of mental health care was impacted by capacity effects stemming from younger, uninsured veterans’ enrolling in VA to satisfy the individual mandate within Massachusetts Health Reform (MHR). Using administrative data, we applied a difference-in-difference approach to compare pre-post changes in mental health use following MHR implementation. Findings indicated MHR was associated with increases in use through Medicare and the probability of dual VA-Medicare use. These results provide support for the possibility that limited capacity led to care seeking outside VA. Disclosures: The views expressed are those of the authors and do not necessarily reflect the views of the Department of Veterans Affairs, the University of Washington and Duke University. Dr. Wong is supported by a VA Health Services Research and Development Career Development Award (CDA 13-024). Dr. Maciejewski (RCS 10-391) and Dr. Fortney (RCS 17-153) are VA Research Career Scientists. Dr. Wong reports ownership of common stock in UnitedHealth Group Inc. All other authors declare they have no potential conflicts of interest. See Tables 4 and 5. Centers for Medicare and Medicaid Services. (2018). Berenson-Eggers type of service (BETOS) codes. https://www.cms.gov/Research-Statistics-Data-and-Systems/Statistics-Trends-and-Reports/MedicareFeeforSvcPartsAB/downloads/BETOSDescCodes.pdf. Accessed 1 October 2018. Department of Veterans Affairs. (2018). Veterans access, choice and accountability act of 2014 fact sheet. http://www.va.gov/opa/choiceact/documents/Choice-Act-Summary.pdf. Accessed 1 October 2018. Department of Veterans Affairs. (2018). Department of Veterans Affairs FY 2018–2024 strategic plan. https://www.va.gov/oei/docs/VA2018-2024strategicPlan.pdf. Accessed 1 October 2018. Department of Veterans Affairs. (2018). Corporate Data Warehouse (CDW). http://www.hsrd.research.va.gov/for_researchers/vinci/cdw.cfm. Accessed 1 October 2018. Department of Veterans Affairs. (2018). VA Mental Health Services—Public Report. https://www.mentalhealth.va.gov/docs/Mental_Health_Transparency_Report_11-24-14.pdf. Accessed 1 October 2018. Huang, G., Kim, S., Gasper, J., et al. (2016). Survey of veteran enrollees’ health and use of health care. https://www.va.gov/HEALTHPOLICYPLANNING/SoE2016/2016_Survey_of_Veteran_Enrollees_Health_and_Health_Care.pdf. Accessed 1 October 2018. Research Data Assistance Center. (2018). Outpatient RIF. https://www.resdac.org/cms-data/files/op-rif. Accessed 1 October 2018. Sullivan, G., Arlinghaus, K., Edlund, C., Kauth, M., & Kemp, J. (2018). Guide to VA mental health services for veterans and families. https://www.mentalhealth.va.gov/docs/guide_to_va_mental_health_srvcs_final12-20-10.pdf. Accessed 1 October 2018. U.S. Department of Health and Human Services. (2018). Area health resource file. http://ahrf.hrsa.gov/index.htm. Accessed 1 October 2018. U.S. Government Accountability Office. (2018). Number of veterans receiving care, barriers faced, and efforts to increase access. https://www.gao.gov/new.items/d1212.pdf. Accessed 1 October 2018.